Most world leaders now recognize the political advantages of at least being seen to address climate change. But for German Chancellor Angela Merkel, the commitment stems from more than political opportunism. 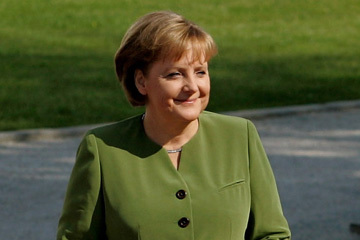 Back in the mid-1990s, when she was Germany's Environment Minister, Merkel made it her mission to bring together officials from rich and poor countries to talk seriously about limiting greenhouse-gas emissions. Her efforts were instrumental in getting leaders to sign the so-called Berlin Mandate in 1995, a precursor to the landmark Kyoto Protocol of 1997. Eileen Claussen, then a senior Clinton Administration official who helped negotiate the accord, recalls Merkel working through the night to persuade her counterparts from developing countries to overcome their reservations. "She was extraordinary in her desire to get a positive result," says Claussen, president of the Pew Center of Climate Change in Arlington, Va. "Kyoto would not have happened without her." Now Merkel, who has a Ph.D. in physics, is helping to write the next chapter on attacking climate change. With Kyoto due to expire in 2012, she has been using her clout as leader of Europe's biggest economy to try to persuade skeptical politicians, from U.S. President George W. Bush to China's President Hu Jintao, to set verifiable targets for the reduction of greenhouse gases. She brings to the table her own experience as a conservative party leader who has managed to convince Germany's powerful industrial sector that sustainability doesn't have to thwart growth. Merkel put climate change at the top of the agenda for this year's G-8 summit in Heiligendamm on her beloved Baltic coast. In the run-up to that meeting, she applied her gift for quiet but rigorous persuasion to President Bush, and is credited with helping shift him toward acknowledging the existence of man-made climate change. She also spearheaded a pledge by the European Union to reduce emissions by at least 20% by 2020. "A post-Kyoto agreement only makes sense if there are clear commitments on mitigation," Merkel told climate scientists in Potsdam this month. "'Oh, we will try our best' will not work." Since the Chancellor first confronted the issue more than a decade ago, the consequences of climate change have become more disturbingly evident. Convincing enough of her counterparts to take action remains a huge challenge. But with her scientific pedigree, political record and proven dedication, no other world leader is so suited to the task.